Since October 2011–when I went to my gynecologist for a long overdue physical check-up, which led to a baseline mammogram at 43 that identified suspicious growths in my right breast, which also happened to be malignant–I have been averaging at least one doctor’s appointment or procedure a month. Even though my ‘active’ breast cancer treatment was more of the ‘slam, bam, thank you mam’ variety of a mastectomy and the removal of 4 lymph nodes without reconstruction, chemo or radiation, I have remained under the watchful eye of first a team in New Orleans and then in Chicago when we moved back in 2014. It’s been intense to say the least! Think about it. At the minimum, we are looking at over 54 appointments, tests, and procedures. That is a a lot of time and attention and worry and effort and distractions from other things that had to be put at a lesser priority in my life. A couple of weeks ago, I ended up having the best doctor’s appointment in forever, however. I have been seeing my primary care oncologist, Dr. S. Hong, since September 2014, every 3-4 months. I have another oncologist in Chicago, Dr. Fleming, but I only see her once a year to check in and pick up my prescription for Tamoxifen. Dr. Hong on the other hand, is basically the coordinator of my overall care. Since being back in Chicago, she has hooked me up with a a wonderful dermatologist (to keep an eye out for any abnormal skin issues), a brilliant sleep doctor (to find a solution for my sleep apnea), a caring specialist dealing with cancer and sexual issues, and a very dignified endocrinologist to deal with my osteoporosis. The osteoporosis, sleep apnea and sexual issues were all thanks to the year of Lupron Depot shots I was given in NOLA, that put me into medically induced menopause, but that is another story. When the Lupron Depot shots wore off a year after they were discontinued (and I started having periods again), Dr. Hong also sent me to have an ultrasound, blood work drawn and see a gynecological specialist to make sure that my periods were not actually cancer of my uterus. In August, when I went in for my regular appointment with Dr. Hong, I was disappointed to find that my blood sugar was again at pre-diabetic levels (they had been there in the spring of 2013) and my cholesterol was high. Dr. Hong gave a hard sell on the drug Metformin and how not only was it great at getting the pre-diabetes under control, but also showed really positive results at keeping breast cancer recurrences at bay. I was disappointed, though. I had been rowing for almost 5 months at this point and with the amount of effort I had put in on the water and on the erg machine, I expected to see results in my blood work, darn it! I voiced my disappointment with Dr. Hong and resistance to going on another drug. We decided that I would continue to do the ROW thing and work on cutting back on processed food and sugars and revisit the situation in December. While my August appointment wasn’t quite what I wanted, my September mammogram and appointment with Dr. Fleming were both good and my NED (no evidence of disease) continued. My November appointment with my sleep specialist was awesome because she had found a solution in the nearly year prior to deal with my sleep apnea and I would no longer need to see her–I was being released! While I had gone from mild to severe sleep apnea between 2013-2015, instead of continuing to use my dreaded C-Pap machine, this wonderful doctor had sent me to a dentist who specializes in sleeping disorders–who was able to prescribe and fit me for an oral device that totally controls my sleep apnea! Totally controls it. And I am in full compliance–I use my device EVERY night. And in December, when I went to see my endocrinologist, I didn’t need to get a Reclast shot to deal with my osteoporosis because my bones were strengthening! 18 months without the medically induced menopause of Lupron Depot (and bone damaging side-effects), a December 2014 Reclast shot, more calcium in my diet, and the benefits of rowing were finally starting to pay off. Woo Hoo!!! And my December appointment with Dr. Hong was good as well. She truly listened to my experience with ROW and recognized that this wasn’t a fad. I mean, let’s be real. I have been walking daily since we have had dogs while living in places that do not have securely fenced in areas, but the kind of exercise that experts truly recommend has been much more sporadic and so she had every reason to doubt that I wouldn’t follow through with rowing when I saw her in August. But the funny thing was, she didn’t mention the Metformin. Didn’t bring it up and wouldn’t have until I asked about it. She said she was happy with the effort I was putting in to ROW and that we would do a blood test in August 2016 to see where I was, but at this point she didn’t think Metformin was necessary. While Metformin wasn’t necessary, continuing to row was. I mentioned in 4 x 10′ that each ROW member had the opportunity to have a coaches meeting in December and establish a workout plan. I took advantage of this awesome benefit of ROW and met with Coach Devlin to set goals for the winter indoor practice season. I’ve never been coached like this before, nor set goals in quite the same way, nor had a formal schedule established of suggested erg workouts, but found the process fascinating. 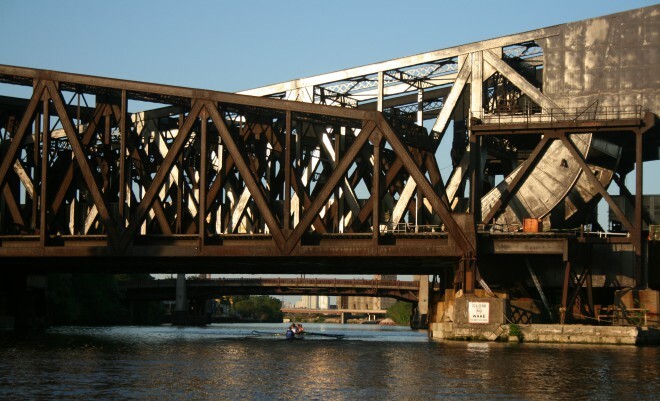 One of my goals was to train for the Chicago Indoor Rowing Championships (CIRQ)–a 2K (2 kilometer) race scheduled for Saturday, February 27, 2016 at Chicago State University. I followed through on this goal, erg training on average 3-4 times per week for over 8 weeks to compete at CIRQ where I finished in 9:33.9 minutes taking 25 seconds off of my January 3rd 2K benchmark time. …and ended up doing an impromptu biometric screening (a baseline health screening all members of Chicago Public Schools must do or pay an extra $600 a year) the next day, on Ash Wednesday. Yep, a biometric screening the day after I had totally splurged on the decadent yumminess above. And, guess what? Thanks to rowing and all of the training I have been doing–and despite my lame attempts to get my eating in line–my results showed that I am no longer pre-diabetic, all of my levels were in an excellent place and my waist was at 24″–under the 25″ max that is best for my height and age!!!!!! And rather than give me an excuse to skip the MPF Lent Fast, it gave me more of an incentive to stick with my plan. And when I lost about 7-8 pounds in that 6 week period, I realized that I was eating like an athlete and maybe I should roll the plan into a longer term commitment. And I have. So, back to Dr. Hong. When I went to see her a couple of weeks ago, not only had I gone 4 months with only a single biometric screening procedure (seriously, that in itself was awesome), but I had lost 11 pounds since visiting her in December and she was able to see my biometric results! While Dr. Hong definitively supports Metformin, she believes that exercise and healthy eating are the Gold Standard for her patients and she was very impressed with my results. Her support felt like I had received a big gold star sticker, the kind that we teachers give out for awesome effort. I’ll take it! This entry was posted in Health, Living Life Fully, Treatment and tagged Go Row, Living Your Healthiest Life. Bookmark the permalink. Yes, you deserve lots of stickers! Sparkly ones, scratch-n-sniff ones, all varieties! Congrats on the great doc visits and weight loss!! No weight loss here….in the third month of state-wide testing and I will eat anything from the school cafe in 3 minutes. Corn dogs today. This is so inspirational. I am happy that you have taken charge of aspects of your health that you can control. Do I ever understand the fears of being pre diabetic and having the cholesterol issues. I hope to see you around, my old friend. Maybe we can hit millennium park some evening this summer.